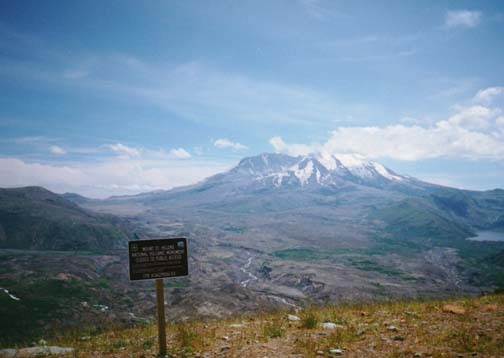 Saint Helens, Mount, active volcano, southwestern Washington, in the Cascade Range. The volcano, which had been dormant since 1857, began to show signs of renewed activity in early 1980 when a column of magma began pushing up inside the mountain, causing the north face of the mountain to bulge out. On May 18, 1980, an earthquake caused a landslide on the mountain's north face, taking off the top of the mountain. 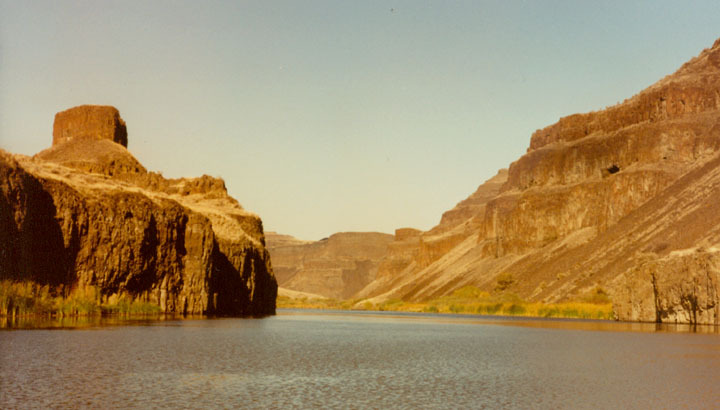 The landslide triggered the main eruption by "uncorking" the column of magma that had been building up. The eruption spewed a cloud of ash and gases as high as 19 km (12 mi). The blast killed 57 people and damaged life in an area of some 180 sq km (some 70 sq mi), and a vast area was covered with ash and debris. As a result of the eruption, the mountain's elevation was decreased from 2,950 m (9,677 ft) to 2,550 m (8,365 ft). 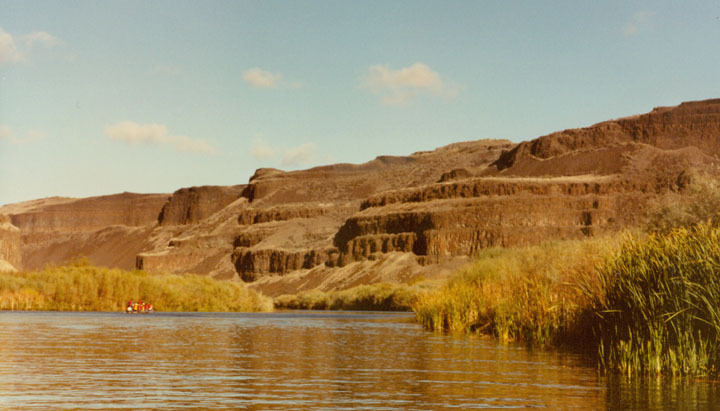 A minor eruption occurred in 1982, and the last magma-producing eruption was in 1986. 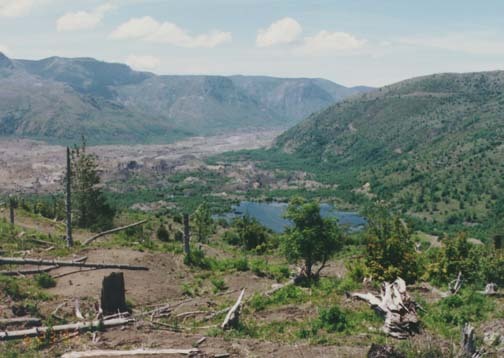 The Mount Saint Helens National Volcanic Monument was established there in 1983. Mount Rainier National Park, western Washington, established 1899. The central feature is Mount Rainier (4,392 m/14,410 ft), a dormant volcano and the highest peak of the Cascade Range. Located on the western edge of the range's crest line, Mount Rainier has the largest single-peak glacier system in the United States outside Alaska. A total of 25 named glaciers cap the peak and extend down the mountain's slopes. The park receives heavy annual precipitation, which supports the growth of thick forest below the timberline at 2,000 m (6,500 ft). Vegetation includes such tall species of trees as Douglas fir, western hemlock, Sitka spruce, and western red cedar, as well as numerous varieties of wildflowers. The diverse wildlife includes mountain lion, bobcat, elk, bear, deer, and mountain goat. Mount Rainier was named in 1792 by the English explorer George Vancouver after British Rear Admiral Peter Rainier. The Native American name for the mountain, Tahoma, means "The mountain that was god." 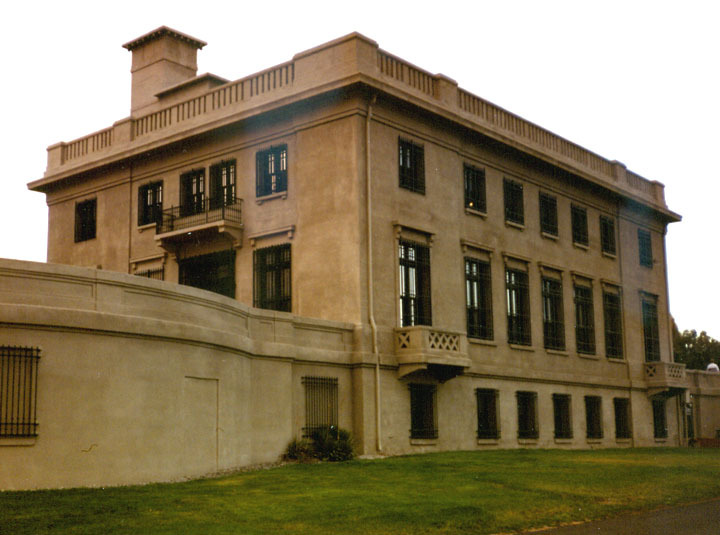 The first successful ascent was made in 1870. Area, 95,349 hectares (235,613 acres). Olympic National Park, located in western Washington, established as a national park in 1938. The park, encompassing most of the Olympic Mountains, is one of the finest remaining areas of virgin rain forest in the Pacific Northwest. 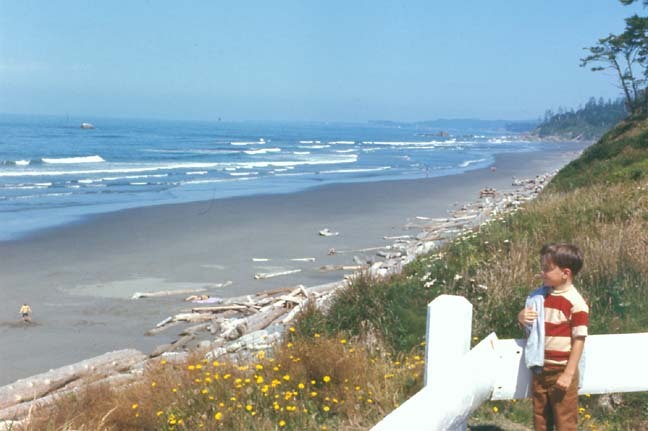 A noncontiguous section of the park is a 90-km (57-mi) strip of rugged Pacific coast. Mount Olympus (2,428 m/7,965 ft), the highest peak of the Olympic Mountains, has 6 glaciers on its slopes; a total of more than 60 active glaciers are found in the park. Annual precipitation in the region is among the heaviest in the United States. In the lower valleys and on the western slopes, where rainfall averages 3,600 mm (140 in) a year, are the noted rain forests, with giant Sitka spruce, dense undergrowth, and deep carpets of moss. At elevations from 500 to 900 m (1,500 to 3,000 ft) are stands of Douglas fir, western hemlock, western red cedar, spruce, and pine. 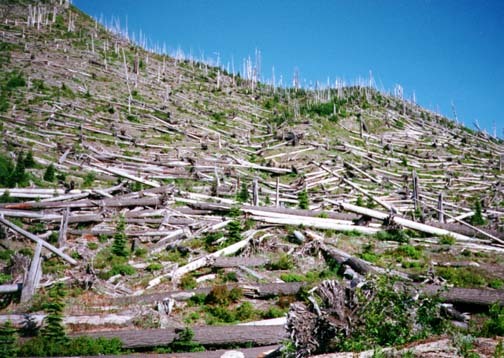 At higher altitudes the forests give way to alpine meadows. Wildlife in the park includes the Roosevelt elk, black-tailed deer, cougar, black bear, and otter. 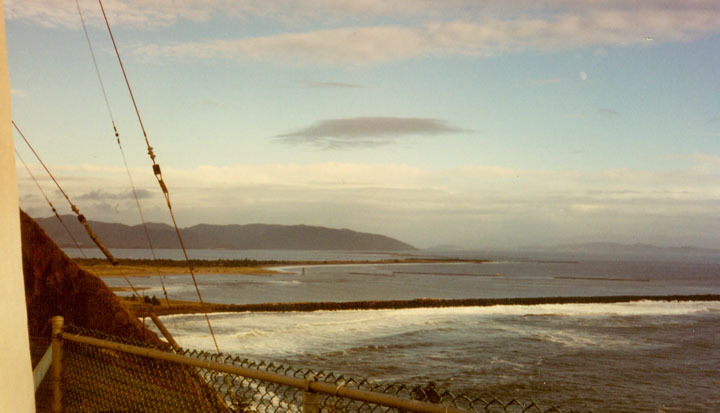 Seals, sea lions, and numerous marine birds inhabit the coastal portion. 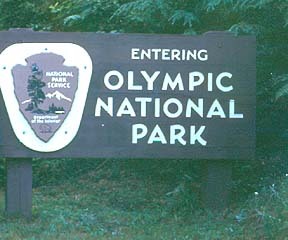 The park was originally established as Mount Olympus National Monument in 1909. Area, 373,384 hectares (922,651 acres).